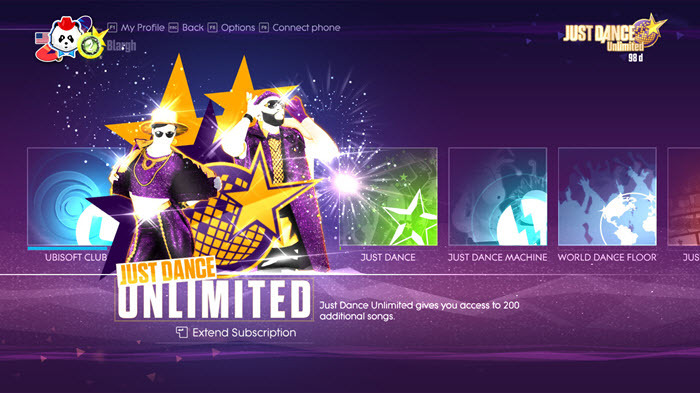 In order to access Just Dance Unlimited content, the first step is to confirm that you have an active subscription. 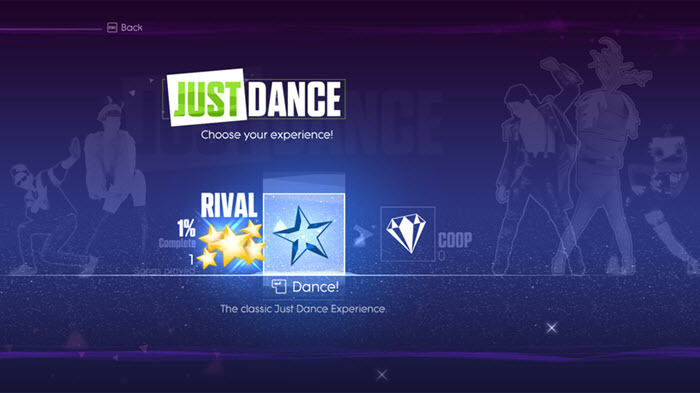 From the main menu screen, look in the upper-right hand corner to locate the countdown timer with the number of remaining days left on the subscription. If you see the timer, continue reading below. 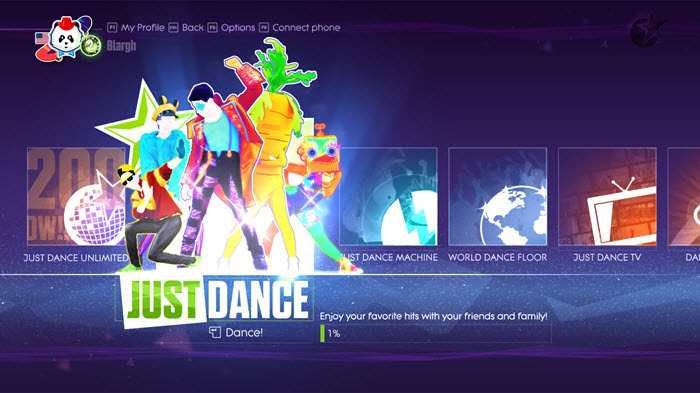 If you do not see it, please skip to the bottom of the FAQ, to the section titled No Subscription Timer. 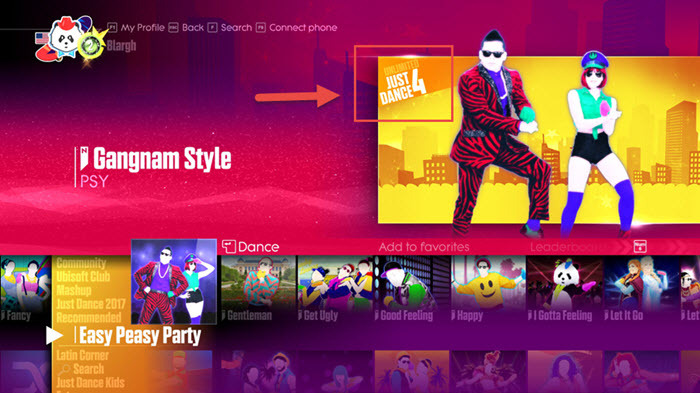 On the next screen, you will see the available song categories listed, starting with the Just Dance 2017 category. 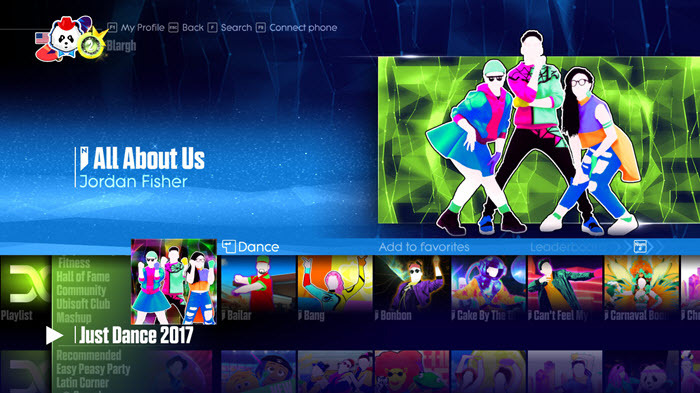 Just Dance Unlimited tracks will say "Unlimited", and will also state which version of Just Dance they originally appeared on. 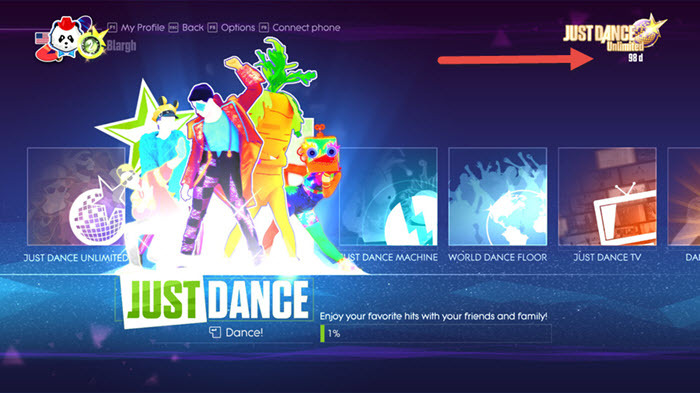 If you have not yet purchased a Just Dance Unlimited subscription, select the Just Dance Unlimited tile from the main menu to purchase/extend your subscription. When I launch the game from Steam, I'm asked for a Uplay key but I never received one with my purchase. What can I do?